Art is always a favorite of our toddler friends at the Henrietta Center! Since we do art every day we like to be creative and keep it interesting. 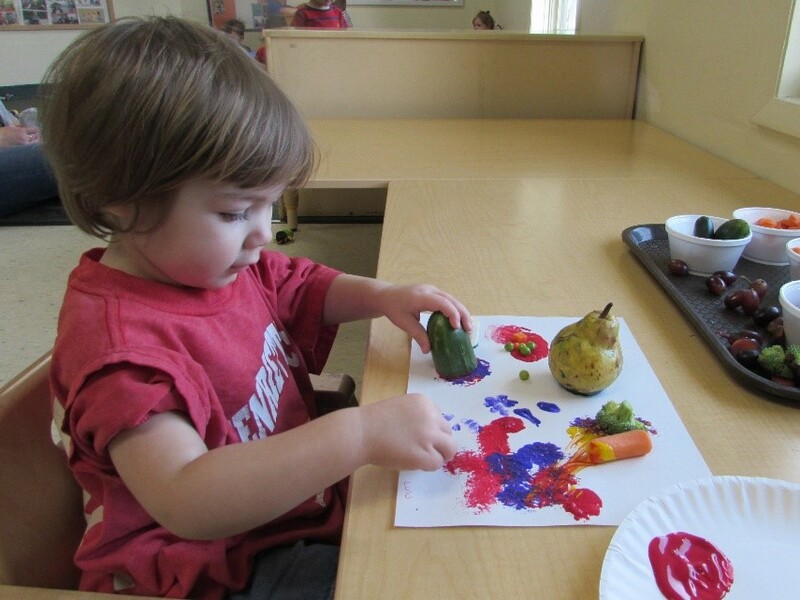 When our theme was Healthy Food, why not paint with fruit and vegetables instead of brushes? 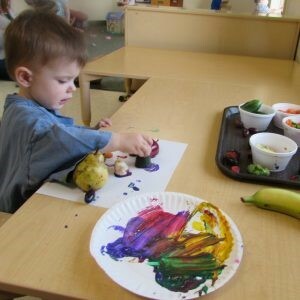 We used broccoli with green paint, carrots with orange paint, apples with red paint, grapes with purple paint and bananas with yellow paint. The children were very interested in the different prints the veggies and fruit left on their paper and thought it was really funny that we were using food to paint! When we were done the children got a chance to taste the foods we painted with (the unused pieces, of course)! The children loved talking about their pictures hanging on the wall for the rest of the week!